Looking for alternatives to Inventor LT? Tons of people want Product and Machine Design software. What's difficult is finding out whether or not the software you choose is right for you. "Awesome design tool for professional and students: Ease of use, Solidworks is easier to learn and very easy to gain expertise. The tools and templates available within the software is good enough for basic learning. Files can be exported and imported in different formats. This makes the software versatile for usage. Readily available templates and parts help a lot in designing and time savings. Simulation is a great tool for parts design. It has different modules for different types of jobs. These modules make it easier to navigate. The user interface is very friendly and easy to use. Lots of companies use Solidworks for their design needs. So, files can be shared with different clients. " Onshape is a modern CAD system that eliminates design gridlock and helps engineers do their best work. Onshape unites advanced modeling tools and design data management in a secure cloud workspace that has rapidly become the primary CAD system for thousands of companies worldwide. "Best parametric CAD software out there. : I have been using parametric CAD software for 15 years. Most of that time has been spent with SolidWorks but I have also used Autodesk Inventor, Fusion 360, and others. While I admit that it took me a month or two to get my head wrapped around the modeling philosophy of Onshape, once I did it was much faster and easier to use than any other CAD software. Some of my favorite features include multi-part files, how mating works in assemblies, the robust version control, detailed document histories, that it can run on my Mac (in the Chrome browser), the amazing mobile application for iOS, and the lower cost. I also very much appreciate the high speed at which the software is being developed. New features are coming out quick and bugs are addressed in days and weeks instead of years. " "Like Solidworks but dumber and more limited: Being able to define sheet metal by the final target shape is useful. It's the only feature that I can think of that is more user friendly than Solidworks 2013. " "Versatile 3D Modeling tool, yet there is better software for drafting and documentation: Rhinoceros is one of the most user friendly and powerful software for 3D modeling. The interface is made to make spinning and viewing models as easy and effortless as possible. For 3D models that are dwgs, I always opt to open in Rhinoceros rather than the native AutoCAD software. Furthermore, the ability to integrate parametric modeling and third party plug-ins such as Grasshopper also adds to the versatility and power of using Rhinoceros. There is a large community of users that seem to continuously expand on Rhinocero's features, and thus this makes the software more valuable. " "CATIA Review From a Design Engineering Perspective: As a design engineer, there are two main things I am looking for when dealing with 3D design software: variety of functions it offers and manipulation tools. This is because I have to create many different parts on a daily basis, each of which is manufactured a different way. Therefore, I expect the 3D design software to offer different tools which adapt to the manufacturing process and size and shape of each part. I also look for manipulation tools because, when designing or revising designs, it is fundamental to be able to move the part around easily, visualize different parts, hide and show parts etc. I can confidently say that CATIA V5 is the best design software I have ever used, especially if you want to use it at a professional level. The enormous variety of functions it offers, modules, and also how user friendly it is once you get used to it is really unbeatable." Fusion 360 unifies design, engineering, and manufacturing into a single platform. "Absolutely awesome 3D CAD software: The user interface and rendering engines are absolutely fantastic, I can design in 3D faster and easier with this product that I can with every other CAD product I've used in the past. I like that you can break down an object into it's components and then create 2D CAD drawings directly from those components ready for making them. I also really like the timeline and that you can go back and edit something and those changes then flow through your whole design." KeyCreator Direct CAD software allows designers and manufacturers to create and edit designs quickly, regardless of what CAD system created the design or how it was constructed. This saves hours in fixing CAD files. "KeyCreator for Yacht Design: KeyCreator as a yacht design tool offers a perfect blend of both freeform surfacing and mechanical design abilities. I've used this software since its inception over 35 years ago for marine design and everything that goes into making a yacht or boat work. And its never let me down. Its fast and agile software that allows for a very quick and intuitive design process. " Creo Parametric provides a broad range of powerful yet flexible 3D CAD capabilities to accelerate the product development process. "Fast and Full-featured Parametric Modeling! : My favorite thing about Creo Parametric is the speed at which it handles large assemblies and smoothness of mechanism motions. Large assemblies can be rotated, moved, and operated on systems that are not extremely powerful. Many of our assemblies are 100s of parts and they are never hard to manage in Creo Parametric." "BESTEST DESIGN WEAPON FOR MECHANICAL WARRIORS: As same as traditional autocad I like all the visual improvements in latest version, mostly I like the way to work with both autocad and autocad mechanical in terms of preparing of drawings, no any other softwares other than autodesk products will offer us a such type of easiest steps to prepare drawings, As I like best the keyboard shortcut command options like move, copy, stretch etc. user does not need to search command button on screen if you know all the shorcuts no any other softwares other than autodesk products will offer us a such type of best thing.."
"The standard of a industry: Alias is a very powerful tool for surface modelling , with very complex tools that are helping the user to achieve best quality in a very fast time. Highly compatible with other design packages. " "Feature-laden CAD Software that requires some training to be efficiently proficient. : SolidEdge has so many features it is mind-boggling. To avoid getting lost in all the features, SolidEdge has this awesome feature where you can search function from the help bar. When it finds the function you want to use, it highlights it and shows where to access it on the toolbar. It also gives a really nice summary of the function and a link to access the help file at the location where it can be found." 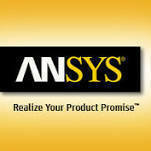 "Working with ANSYS Workbench: Transient thermal: The FEM solver is robust. The best part about workbench is that you can customize your simulation by writing scripts/commands in MAPDL. I have extensively used this feature for my research project. The meshing is also strong." 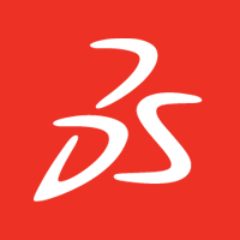 "Solidworks - the very best, industry leading design software out there! : It is so simple to bring in other types of geometry and immediately begin to extrude and make parts. So easy! Try doing that with Inventor. You have to save something to a DXF, then open it in AutoCAD, reconnect all the line endpoints, save it and then open it in Inventor, THEN you can begin to extrude. Such a time waster! You would think AutoDesk would have figured this out by now. But no, that's why Solidworks is so great." "I Want To Believe: For my particular small business, the plethora of libraries and the integration with Fusion 360 is amazing. Eagle allows me to compete with companies many times larger than our current size." Altair Inspire allows design engineers, product designers and architects to investigate structurally efficient concepts quickly and easily. "Excellent, easy to use software: This software is incredibly intuitive and really provides an excellent finished product. The software runs relatively quickly and will typically error right away, which is a nice feature. I did not use the geometric editing portions of the software, but it seems promising to be able to edit files directly in the program. The exportation of the finished product was also very easy to do and I was able to directly insert it into the CATIA v6 model that my team had been working on. " "Low User Friendliness: Positives: Compact file structure, an entire assembly and drawing can be contained within the same file, making it easier to control transfers and storage of designs without file management issues. Not sure what the size limitations on it are." "Usable by novie and expert: Has a huge number of plugins that can allow you to do many advanced things. You can take input from things like Excel and PDFs and turn them into models. It can also be useful for just visualizing some models you're checking out." IronCAD's mission has and continues to be the creation of award winning 3D Design Collaboration Solutions that lead the industry in their ease-of-use and design productivity. "The Power of IronCAD: The modeling and rendering capabilities of IronCAD are amazing, especially when compared to other modeling programs such as Sketchup, Vectorworks, and Blender. I only wish other software would make use of a similar tri-ball system that IC utilizes. The ability to integrate 3D modeling, drafting, rendering, and an export service all in the same software package makes IC a one-stop-shop. As with any modeling and drafting software there is a learning curve, but I've found IronCAD to have provided the least amount of frustration in my getting to the point where I was able to make the software do what I wanted it to do. " Altium Designer bridges all facets of the PCB design process to keep you seamlessly connected to every aspect of your design at all times. "Fully unified and deployable development systems in electronic design processes: The best thing is that it offers a wide range of data management tools and information resources, in addition to helping to reduce the gap between design and manufacturing.  In the organization we are happy with altium designer because it also allows us to actively manage the generation and verification of all manufacturing data and this allows us to save time and minimize costly errors during the design flow. The cloud is saved in case you want it, is a function that has, for example, imagine a group of developers that there are 3 people dedicated to making the circuit, because they work from there all together. It is useful when you need to make a box for the circuit and also when you stack PCBs to make sure that the components do not collide with each other." "Over the spectations: It is a brilliant tool to make strength tests, and multiple kind of exercises to the assemblies and pieces modeled. When I started using it, I though that only few options were able to do the test, however it has overpass my spectations and knowledge. It has been carefully developed by Solid works team. " Hi there! Would you like help finding solutions similar to Inventor LT?